The UNLV license plate is a great way to show your Rebel Pride and support student scholarships. 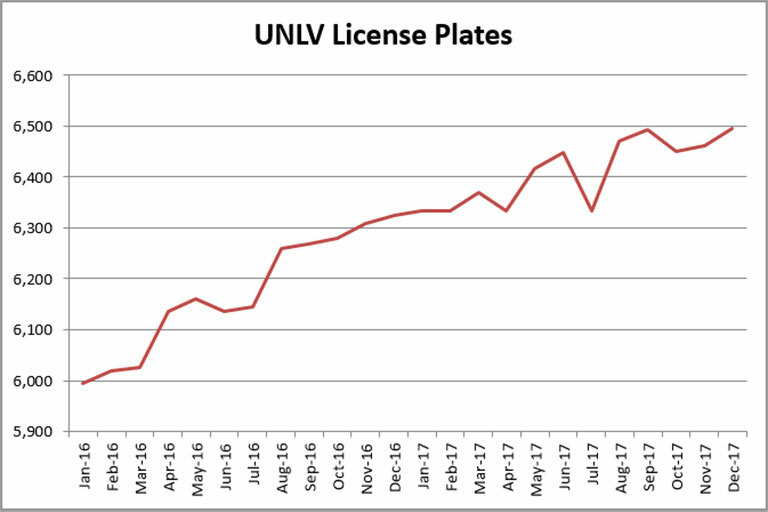 The design of the license plate has been updated to follow UNLV branding standards, match current colors and marks, and ensure the design was distinguishable to encourage more school spirit. Thanks to matching funds, Jon Cobain '64 B.S. Business Administration challenged UNLV fans to grow the fund. Plate registrations have risen 12% since 2015.